Technology hubs and incubators are the support system that ensures entrepreneurs have adequate backing when it comes to accelerating their ideas into viable, scalable businesses, according to Lillian Nduati, Africa communications coordinator at Impact Hub. Speaking to Disrupt Africa, Nduati said hubs played a crucial role in ensuring startups have access to support such as mentorship, opportunities for funding and investments, and business support services such as legal and financial advice. She said this support structure and access to mentorship, coaching and finance is still insufficient, yet African SMEs account for up to 90 per cent of all businesses and represent about 66 per cent of permanent, full-time employment in developing countries. Impact Hub, which has 65 open hubs on five continents with more than 11,000 members, has been on an expansion push in Africa of late, with Disrupt Africa reporting in December teams from seven countries were selected to take part in its Africa Seed Programme, a six-month incubator designed to support entrepreneurs in opening Impact Hubs across Africa. In January it launched Resilience Africa in partnership with Dutch NGO Cordaid, with the programme looking to train individuals to run Impact Hub Fellowship Programmes and Social Business Incubators (SBI). Nduati said Impact Hub has to date seen the strongest growth in more developed economies, but wanted to keep growing its community. “The strong and growing entrepreneurship scene in developing and emerging economies, and especially in Africa, has been reflected by growing interest in the Impact Hub model from entrepreneurs in the continent. For example, the Africa Seed and Resilience Africa programmes received over 200 expressions of interest from 45 teams in 26 countries,” she said. Nduati said impact cannot happen in isolation, but needs collaboration. 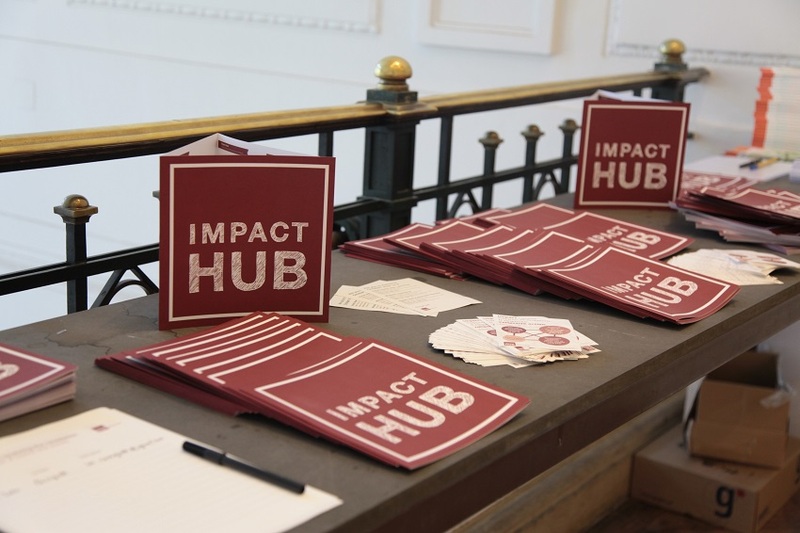 The aim of the local Impact Hubs is to create a platform to connect and share resources that “inspire, energise and catalyse entrepreneurial communities that create value and opportunities for the wider population”. She said there were two factors that differentiated Impact Hub’s model from others: the creation of an ecosystem for entrepreneurs in the Impact Hub community, and the building of a financially viable local Impact Hub as a sustainable business. “Each local Impact Hub is independently owned and rooted in its local market. They each develop their own unique combination of spaces, people and programmes that inspire and empower people to realise their entrepreneurial goals,” Nduati said. She said the aims of the African programmes aligned with the overall global goal of Impact Hub, which is to continue to expand this network of collaborators, focused on making a positive impact on the world. The idea of sustainability, according to Nduati, is “built into the very core” of the Africa Seed Programmes. “Impact Hub founders from multiple contexts form the primary support for Africa’s Impact Hub candidate teams. These founders provide dedicated, personalised and context relevant support to each candidate team as they go through the candidacy process, ensuring that they receive the benefit of lessons learned from 10 years in the hub industry,” she said. She said with this support candidate teams are able to develop comprehensive and realistic feasibility studies, which are voted upon by existing Impact Hub network members. “Network members want to ensure that new Impact Hubs have a fully sustainable business plan; that they have thought through their business model, their market, proposed strong financial modeling that can back it up, and, have sufficiently focused on how to position themselves and how best to operate in their local contexts,” Nduati said.